Which Website Package is Right for your Agency? The Travel Features section has an area for 4 different highlighted topics, shown with images in eye-catching circles! You can choose 3 or 4. There are additional options for the Plus and Professional packages. The Video player is large and has an area next to it that allows you to add a bit of text to talk about your video choice, which adds a nice touch! The Testimonials are located below. Three are included with Standard, five with Plus, and unlimited with Professional. Lulu started off shy but ended up being the voice of the house! 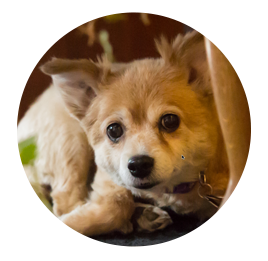 She was an adorable Pomeranian/Corgi mix (best guess!) that was rescued from a bad situation and given a new life with Adam in 2006. She “hit the doggie lotto” somebody once said and that sure is true! She had everything a girl could ever way and was loved to the ends of the earth and back. 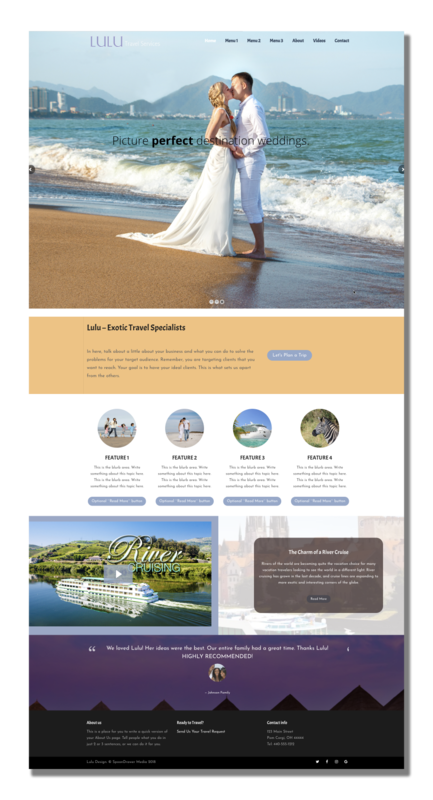 SpoonDrawer Media is an Inbound Marketing Digital Agency and Boutique Web Design firm that specializes in websites for travel agencies and tour companies.